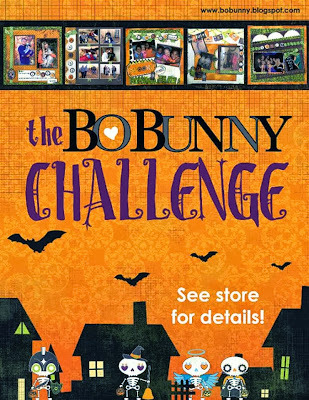 What a bunch of scrap...: Bo Bunny October challenge!! Would you like to win a BoBunny Designer Bag filled with products worth $150??? 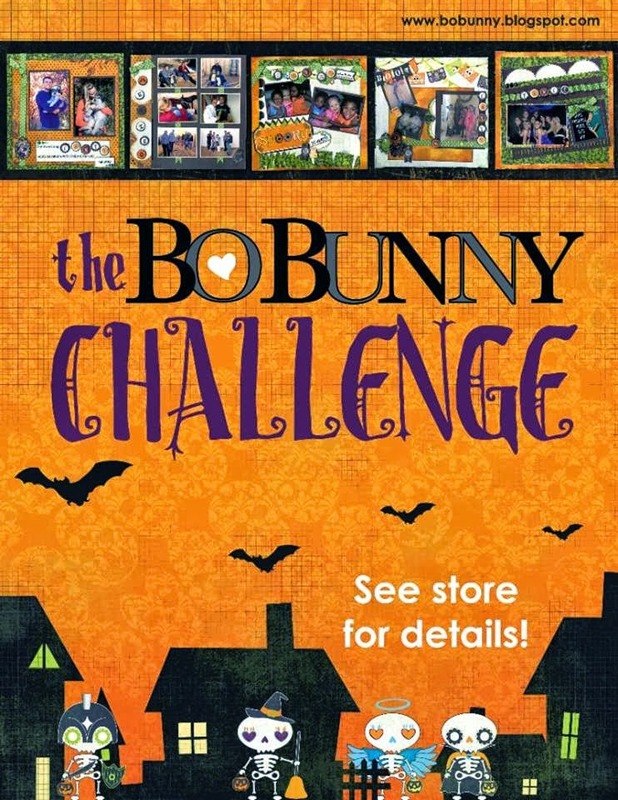 All you have to do is participate in the BoBunny October Challenge for your chance to win! Look for the poster in your local scrapbook stores for more details. If you don't have a local store to participate with, don't worry. You can buy a kit online at Bargain Pack. The kit includes 3 sheets of patterned paper from Fright Delight and Autumn Song, 1 sheet of Plum Double Dot, Fright Delight Jewels, Fright Delight Dimensional Stickers, and 1 yard of Clover Double Dot Ribbon at the Bargainpack Price of $11.20. They are also running a 3 Day Intro Price of $9.00. Happy October, and... a summery layout!